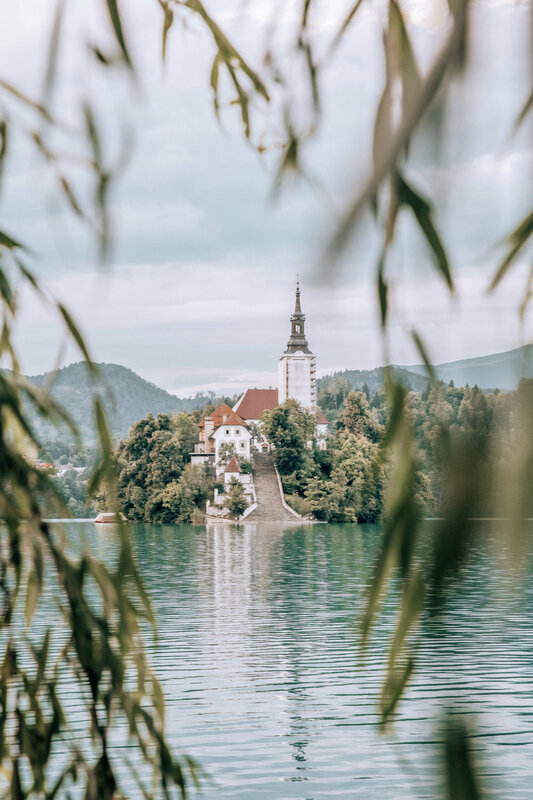 We stopped in Lake Bled for a night, to get some photos of the beautiful island on the lake. I was very sad to see that church was covered in scaffolding - but hey ho, it was still beautiful! Lake Bled was ridiculously busy, queues for campsites and car parks miles long! We found a campsite a little further out of town, the ground wasn't the best condition, but it sufficed for one night! Having our bikes meant we could cycle to and from town with ease. Whilst on the lake, we took a row boat out to the island and Will did an excellent job, being both cameraman and rower, ha! 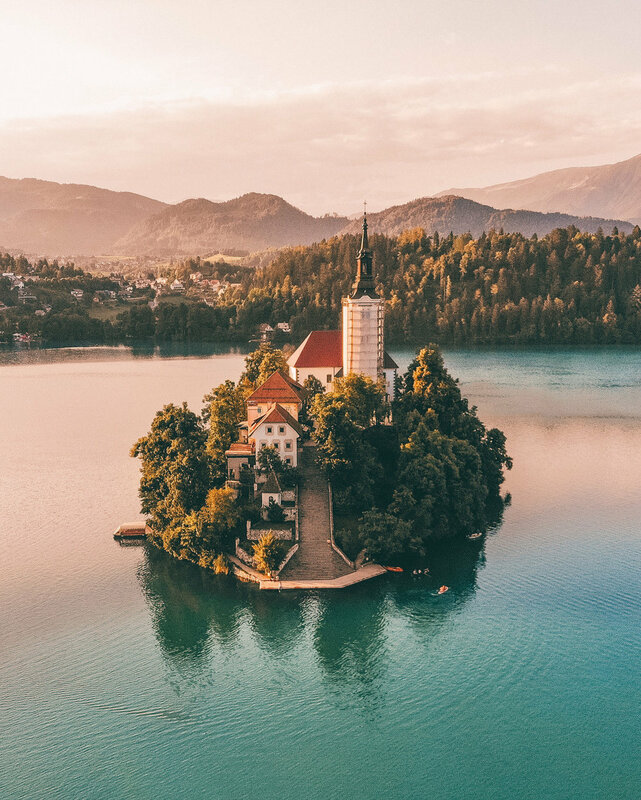 We found a lot of places in Europe had banned drones, but fortunately they haven't in Lake Bled. Everyone wants to get a shot of that island from high above! We waited until sunset to get that perfect soft lighting on the lake.